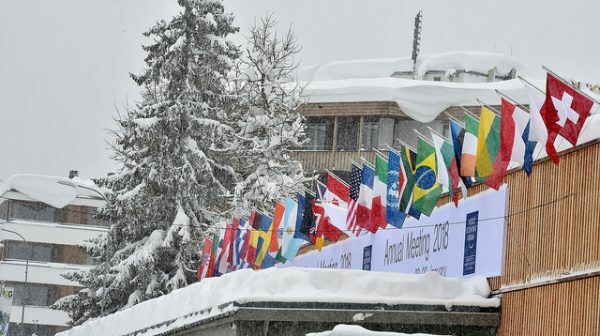 Each year in January, the World Economic Forum hosts its annual meeting in the Swiss resort town of Davos. The event brings together state leaders, business tycoons, and philanthropists who cultivate relationships between governments and businesses, all with the hope of guiding global progress. This year, the annual meeting made headlines for featuring a Somalian refugee, Mohammed Hassan Mohamud, as one of the event’s seven co-chairs. This inclusion marks another stage of a contested history of international business, development, and intervention in the Global South. Throughout the Global South, colonialism altered or destroyed local systems, such as food production. Agriculture was restructured to serve colonial powers, which often forced farmers to produce cash crops (like coffee or cotton) instead of food for their own consumption. Over time, knowledge about cultivating local crops was lost. In the aftermath of colonialism, many countries have faced challenges in remaking their agricultural sectors. Businesses and governments from the Global North have sought to have a role in this restructuring. Investors and technological innovators partner to develop new foods, often suggesting genetically modified crops as a solution to hunger. Many scholars, however, raise concerns about the cultural loss of replacing local produce with imported goods that look and taste different. Others assert that such approaches do not address the power inequities that lead to hunger. Vandana Shiva. 2016. The Violence of the Green Revolution: Third World Agriculture, Ecology, and Politics. London: Zed Books. Akhil Gupta. 1998. Postcolonial Developments: Agriculture in the Making of Modern India. Durham, N.C.: Duke University Press. Fred Buttel and Philip McMichael, eds. 2005. New Directions in the Sociology of Global Development. Oxford: Eslevier. Large international development organizations that use technology as a tool of development, such as the Gates Foundation, are organized to create and implement “best practice systems.” Often, this means that corporations develop solutions that treat recipients of their products as new customers. Rachel Schurman argues that this structure separates institutions and their employees from the needs of farmers and strategists from the Global South. From this vantage point, events like the annual World Economic Forum meeting serve as opportunities for international businesses to strategize the best ways to find new consumers. Rachel Schurman. 2018. “Micro(soft) Managing a ‘Green Revolution’ for Africa: The New Donor Culture and International Agricultural Development.” World Development 112: 180-192. Matthew Canfield. 2018. “Banana Brokers: Communicative Labor, Translocal Translation, and Transnational Law.” Public Culture 31(1): 69-92. Markus Giesler and Ela Veresiu. 2014. “Creating the Responsible Consumer: Moralistic Governance Regimes and Consumer Subjectivity.”Journal of Consumer Research 41: 840-857. Simon Nicholson. 2015. “Biotechnology and the Global Food Riots: Why Genetically Modified Foods Will Not End World Hunger.” Pp 255-272 in Handbook on the Globalization of Agriculture. Cheltenham: Edward Elgar Publishers. Activist scholars have built on these critiques with tangible suggestions for more equitable practices. Many argue that development actors must treat communities in the Global South as partners in progress, rather than as beneficiaries. This can be done by including local leaders at every stage of the decision making process. More broadly, activist scholars advocate for the role of social science in industry decision making, particularly in instances of post-conflict investment, as social scientists can provide insight into both power inequities and the long-term effects of economic intervention. Alexander Betts and Paul Collier. 2017. Refuge, Transforming a Broken Refugee System. Allen Lane. Michael Barnett and Thomas G. Weiss, eds. 2008. Humanitarianism in Question, Politics, Power, Ethics. Cornell University Press.